Get ready for a nice hot breakfast on February 7th. 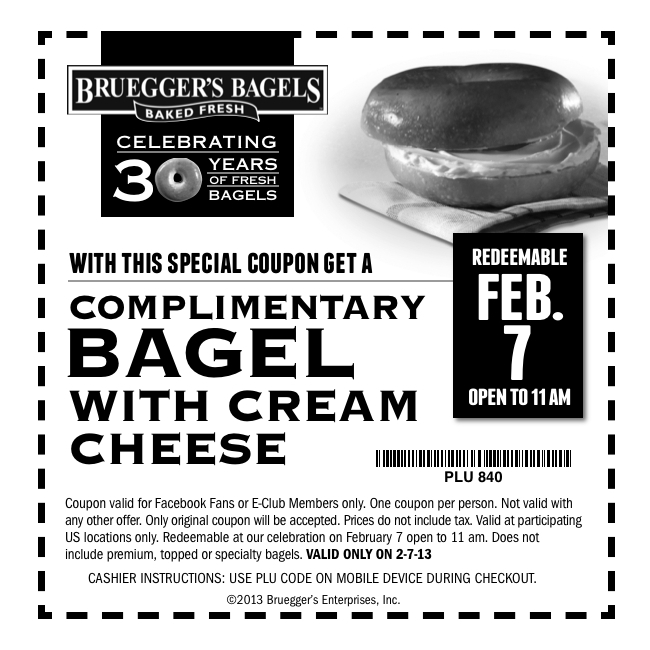 Bruegger’s is giving away FREE Bagels until 11 a.m.! Click on the link below to print your coupon, valid 2/7 only.